We all use a wallet everyday but unfortunately there's always a compromise. Some are very bulky, some make it difficult to find the right card, and some hold a fixed number of cards which may not suit your needs.The FantomTM Wallet is the ultimate slim solution for your everyday carries. With the FantomTM Wallet, you can carry cards, cash, and coins. Fan out the cards with a flick of a finger, all your cards are instantly available. Everything you need is always ready at your disposal. 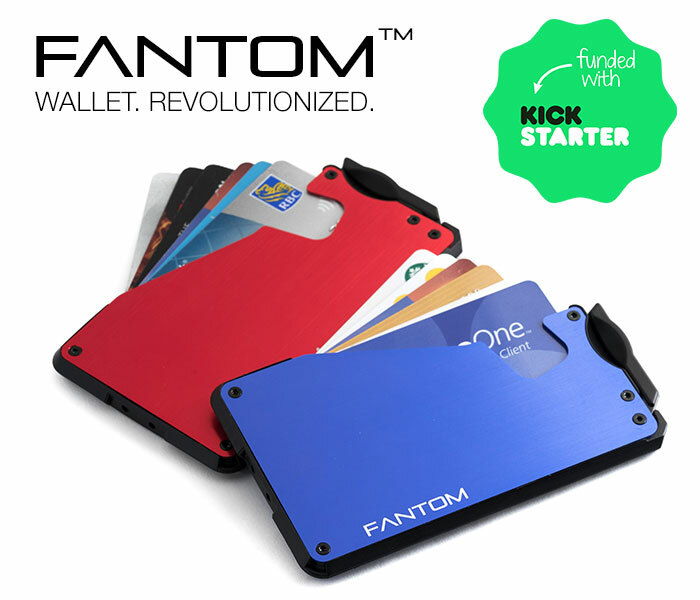 The Fantom Wallet is the third Kickstarter project from Ansix DesignTM. It is now available on our web store. If you love photography as much as we do, then we are sure that you have a collection of lenses and other camera gear. We all know lenses can get very expensive and they are investments that can last a long time under good care. Our patent pending LensRacksTM camera gear storage system is the perfect way to store and organize your precious investments with style. 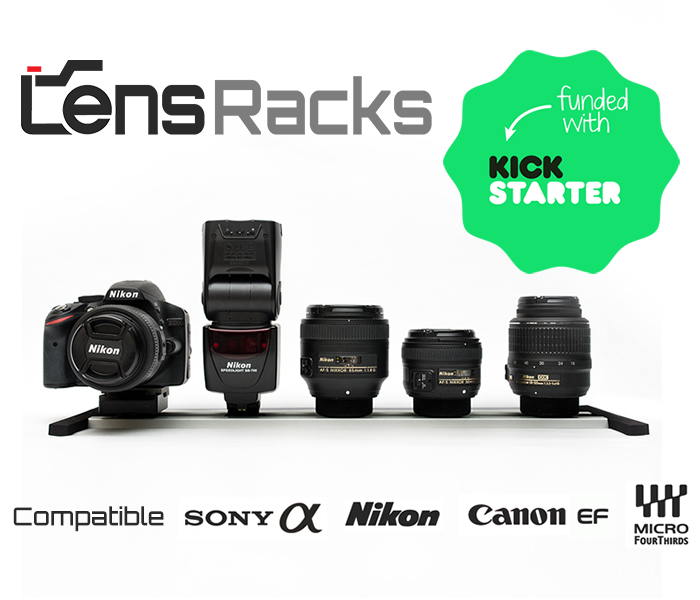 Being the first Kickstarter project from Ansix DesignTM, LensRacks camera gear storage system is designed for owners of Nikon, Canon, Sony E-Mount, and Micro 4/3s lenses who want to be organized with their camera gear. With LensRacks camera gear storage system's modularity and expandability, it caters to amateurs, professionals, and everyone else in between. Designed to compliment our LensRacks camera gear storage system, LensPacksTM quick change camera lens cap is an innovative and easy-to-use Velcro® lens cap system that allows for quick camera lens change and works with any camera bags. Free yourself from slow, clumsy lens changes and protect your lenses with the extra security. 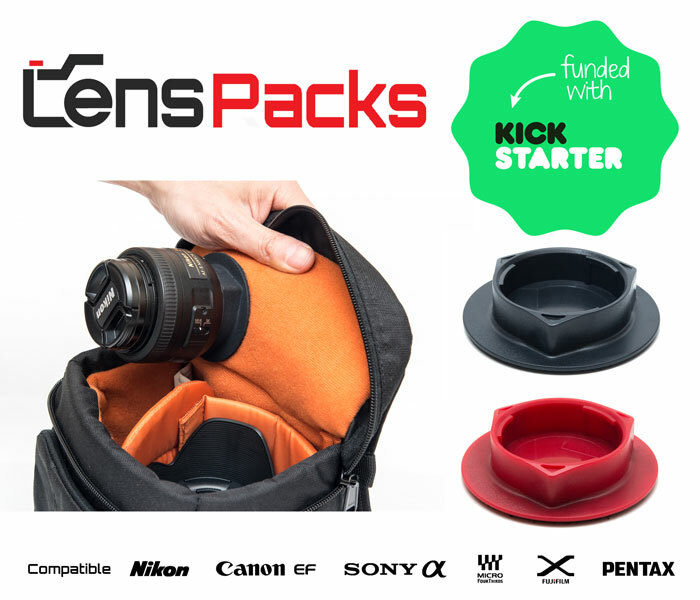 LensPacks quick change camera lens cap is the most ideal way to securely carry your camera lenses in any camera bags! LensPacks quick change camera lens cap is designed to work with Nikon F-Mount, Canon EF-Mount, Sony E-Mount, Micro 4/3s, Fujifilm X-Mount, and Pentax K-Mount interchangeable lens systems. It also works with virtually all camera bags of different sizes and brands. Whether you are working in a studio or taking photos outdoor, LensPacks quick change camera lens cap caters to all photographers with more than one camera lens. 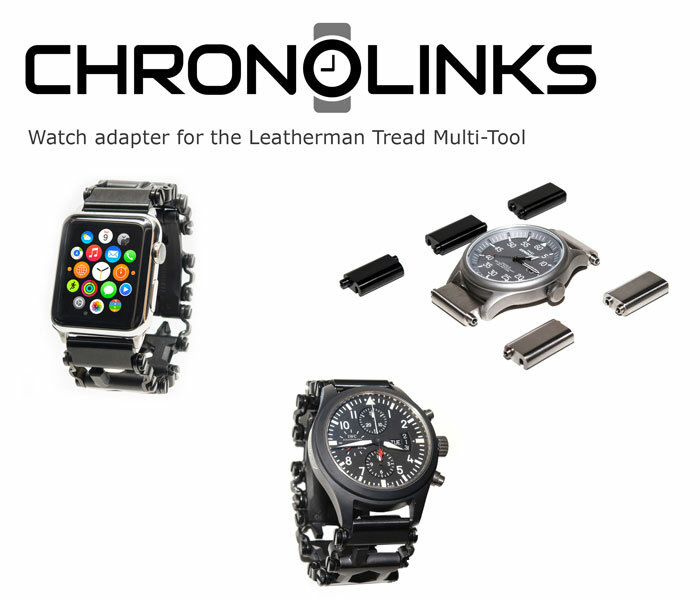 ChronoLinksTM is a watch band adapter designed specifically for the Leatherman Tread Multi-tool. With a pair of ChronoLinks adapters, you can use the Leatherman Tread with any combination of watch faces. ChronoLinks watch adapters allow user to use the Leatherman Tread Multi-Tool with any timepiece with a lug width of 18mm, 20mm, 22mm, 24mm, or 26mm. ChronoLinks watch adapters also support Apple Watch and most Casio G-Shock models. All ChronoLinks adapters are made of precision machined stainless steel to match seamlessly with the look and feel of the Leatherman Tread and your watch. Two finishes are available to match the Leatherman Tread: brushed stainless steel and brushed black diamond-like carbon. Thank you for visiting Ansix Designs. Please feel free to contact us if you have any questions or concerns regarding our products. We also welcome any comments and suggestions!